If the regular Sigma SD1 wasn’t expensive enough, Sigma re now releasing a special wooden edition SD1, which features a wooden casing made from Amboyna Burl, which is the deformed wood of the Southeast Asian Padauk tree, or something, and according to Sigma each casing takes around 60 hours to make. The Sigma SD1 features a 46 megapixel 24×16mm APS-C X3 direct image sensor, and the lightweight body made which is normally made from magnesium alloy. has been replaced by wood. 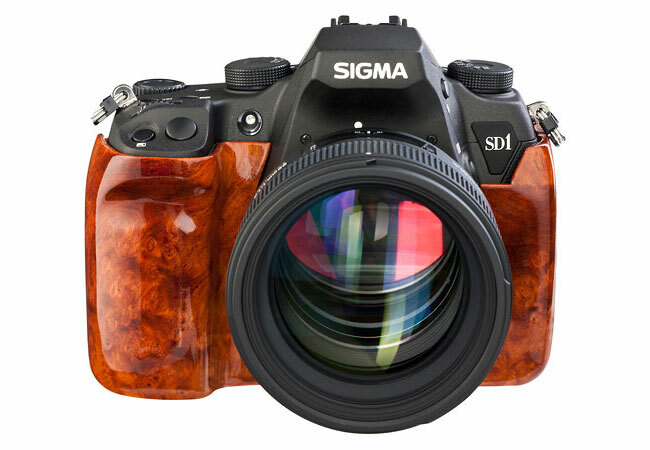 Other specifications are the same as the original Sigma SD1, and there will only be 10 of this limited edition wooden version made, with each one costing close to $13,750.